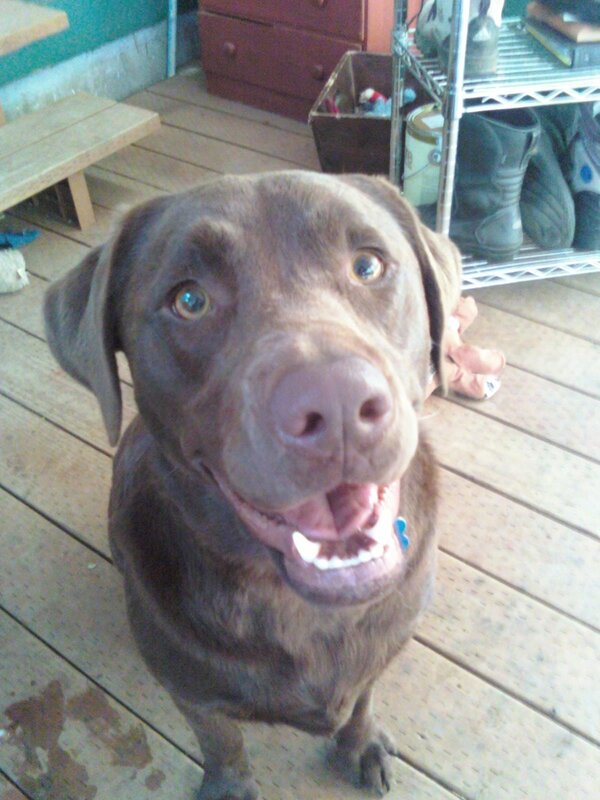 This sweet little adorable chocolate lab is Trout. She's actually a nightmare in training. Well, I guess she's out of training and now is into the graduate program. Her favorite thing is the kiddie pool in the backyard and she runs to it every time the back door opens. Unfortunately she's really good at sprinting back inside the house before the door shuts. Somewhere I heard dogs were easier to have than children, you know, the whole you can lock them in the backyard thing...well I am finding that's not true. And in fact, not even close..because at least the kid will eventually grow up, start mowing the lawn and doing other chores and move away. This little devil isn't going anywhere.